In other words, as bad as things can seem, they were much worse for most of human history. It’s a long view cultural historian Otto Friedrich took in a grim survey called The End of the World: A History. Written near the end of the Cold War, Friedrich’s book documents some 2000 years of European catastrophe, during which one generation after another genuinely believed the end was nigh. And yet, certain far-seeing individuals have always imagined a thriving human future, especially during the profoundly destructive 20th century. In 1900, engineer John Elfreth Watkins made a survey of the scientific minds of his day. As we noted in a previous post, some of those predictions of the year 2000 seem prescient, some preposterous; all boldly extrapolated contemporary trends and foresaw a radically different human world. At the height of the Cold War in 1964, Isaac Asimov partly described our present in his 50 year forecast. In 1926, and again 1935, no less a visionary than Nikola Tesla looked into the 21st century to envision a world both like and unlike our own. 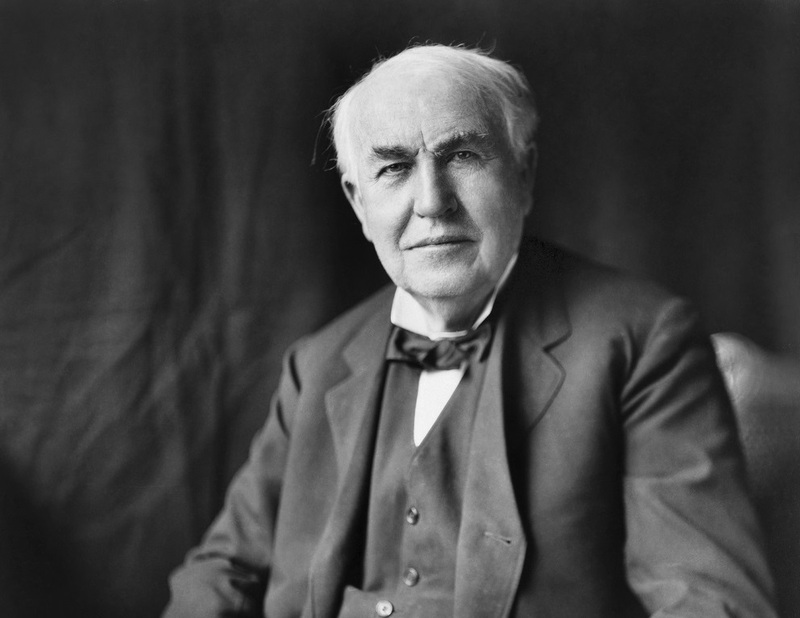 Several years earlier in 1911, Tesla’s rival Thomas Edison made his own set of futuristic predictions for 100 years hence in a Cosmopolitan article. These were also summarized in an article published that year by the Miami Metropolis, which begins by lauding Edison as a “wizard… who has wrested so many secrets from jealous Nature.” We’ve condensed Edison’s predictions in list form below. Compare these to Tesla’s visions for a fascinating contrast of two different, yet complementary future worlds. 6. Anticipating agribusiness, Edison predicted, “the coming farmer will be a man on a seat beside a push-button and some levers.” Farming would experience a “great shake-up” as science, tech, and big business overtook its methods. In reading over the predictions from shrewd thinkers of the past, one is struck as much by what they got right as by what they got often terribly wrong. (Matt Novak’s Paleofuture, which brings us the Miami Metropolis article, has chronicled the checkered, hit-and-miss history of futurism for several years now.) Edison’s tone is more strident than most of his peers, but his accuracy was about on par, further suggesting that neither the most confident of techno-futurists, nor the most baleful of doomsayers knows quite what the future holds: their clearest forecasts obscured by the biases, technical limitations, and philosophical categories of their present. Most of what Steven Pinker says is pointless. Despite the total proportion of violence going down, on an absolute scale it has risen, especially in recent years. And even if violence had remained static, information availability has risen dramatically, making it appear as if there is more violence compared to earlier years.